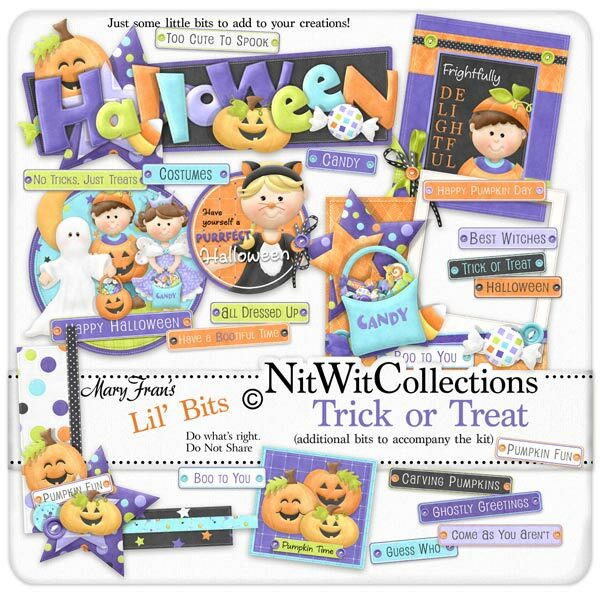 "Trick or Treat" Lil' Bits will give you lots of help in making your scrapbook layouts and cards by providing you with the readymade wordtags and elements. Elements in the Lil' Bits are not included in the "Trick or Treat" FQB. 1 Wordart "Happy Halloween" with our trio standing and asking for thier treats!